The Arunachal Pradesh State Weavers Co-op Federation Ltd in association with design firm Desmania are gearing up to showcase a collection of weaves and fabrics from Arunachal Pradesh in the national capital from Tuesday. 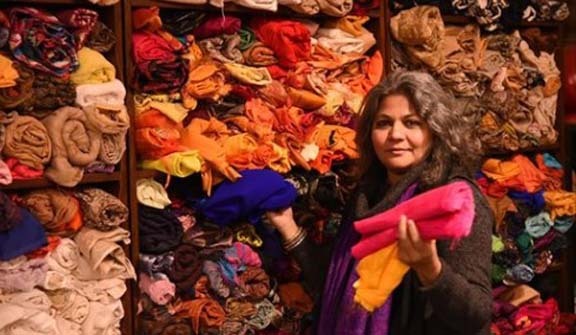 The exhibition, titled ‘Enigmatic East – from Zero to Infinity’, to be held at Atelier in Lado Sarai of Delhi, designed and curated by textile revivalist Sandhya Raman, will continue till January 30, 2019. According to a report published on Monday by Indian Express, Sandhya Raman, who had been mentoring the weavers in Arunachal Pradesh for quite some time, wished to get their voices and crafts in the mainstream narrative. Sandhya Raman, also the founder of Desmania, has been working to bring the Northeast, especially Arunachal, into focus for the last two years. Sandhya Raman has worked for the past three decades towards reviving weaves, handlooms and textiles and making them sustainable. It has been reported that Sandhya Raman has incorporated the native designs and motifs from six of the existing 26 tribes, including Apatani, Aaji, Galo, Nyishi, Adi and Tagin and 106 sub-tribes, and other communities existing in the Himalayan State.